When we hear the word, yoga, some people think of the bending and twisting of torsos and limbs into uncomfortable-looking poses. Some people see quiet images of people in lotus positions, lost in meditative calm. Some people see it as a religious practice. (The last one - hogwash!) Yoga is non-religious and practitioners of yoga are unlikely to propagate any religious frenzy when they are balancing upside down on their head and trying to eject stress from their body and mind. Its all about building strength, flexibility, concentration, calmness and health. There are many different styles of yoga. Each style has its own unique features but most of them have common roots. The ABC of Yoga listed about 50 styles that include the unusual ones like Laughter Yoga (to laugh your stress away) and Chair Yoga (for caregivers to learn to take care of themselves before they can be of service to others). The style that you do is a matter of preference or need. Just keep in mind that no matter what Yoga Style you want to pursue, make sure that you know its features and you have what it takes to practice that style. However in Brunei, most of the styles mentioned are not available. What is commonly taught here are the Hatha Yoga and Ashtanga yoga which involves physical poses and breathing techniques. The masters of yoga, or Yogis, view that the mind and body are one. If given the right yoga conditioning in the right environment, it can find harmony and heal itself. Yoga is therefore considered therapeutic. Yoga consists of ancient theories, observations and principles about the mind and body connection which is now being proven by modern medicine. There is substantial research conducted to look at the health benefits of yoga through yoga postures (Asanas) yoga breathing (Pranayama) and meditation. 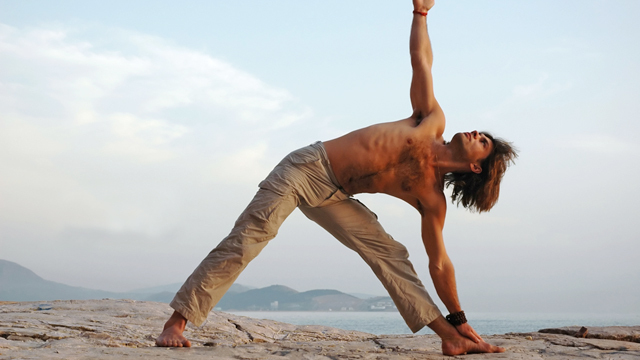 Yoga has produced benefits in the pysiological, psychological and biochemical areas. Yoga has been practised for more than 5,000 years. The exact history and origins of yoga is uncertain but early archaeological finds of stone seals depicted figures in yoga poses dated about 3,000 B.C. Scholars, however have a reason to believe that yoga existed long before that and traced its beginnings to Stone Age Shamanism. Both Shamanism and yoga had similar characteristics particularly in their efforts to improve the human condition at that time. It started as community-oriented before turning inward to focus on self-development. Self-enlightenment became the ultimate goal. Sivananda wrote more than 200 books on Yoga and Philosophy and had many disciples who furthered Yoga. Up to this day, Yoga continues to proliferate and spread its teachings, crossing the boundaries of culture and language.